On the 18th (Thu), take in the waterfront at The Jack Barnes Bicentennial Mangrove Boardwalk. Get ready for a full day of sightseeing on the 19th (Fri): get interesting insight from Tours. To see other places to visit, where to stay, photos, and more tourist information, refer to the Cairns road trip planning site . Tel Aviv, Israel to Cairns is an approximately 24-hour flight. The time zone difference when traveling from Tel Aviv to Cairns is 8 hours. Traveling from Tel Aviv in April, things will get somewhat warmer in Cairns: highs are around 34°C and lows about 26°C. Finish up your sightseeing early on the 20th (Sat) so you can go by car to Port Douglas. Kick off your visit on the 21st (Sun): discover the deep blue sea with a scuba or snorkeling tour. Get ready for a full day of sightseeing on the 22nd (Mon): get interesting insight from Tours. For reviews, photos, where to stay, and more tourist information, refer to the Port Douglas trip tool . Drive from Cairns to Port Douglas in 1.5 hours. Alternatively, you can take a bus; or take a shuttle. In April, daily temperatures in Port Douglas can reach 34°C, while at night they dip to 25°C. Wrap up your sightseeing on the 22nd (Mon) early enough to travel to Lord Howe Island. Bursting out of the Tasman Sea, Lord Howe Island offers stunning scenery and many sandy beaches. On the 23rd (Tue), see the interesting displays at Lord Howe Island Museum, kick back and relax at Lagoon Beach, and then enjoy the sand and surf at Ned's Beach. 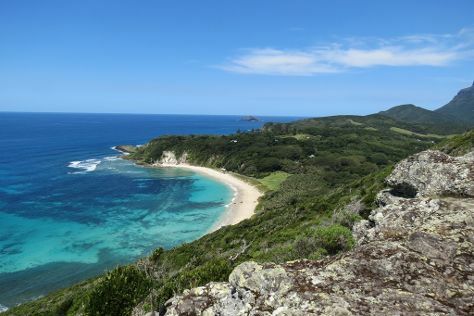 Get ready for a full day of sightseeing on the 24th (Wed): trek along Lord Howe Island Walking Trails, then take in the dramatic natural features at Ball's Pyramid, and then take your sightseeing to a higher altitude at Mt Gower. Plan a Lord Howe Island trip in moments using our itinerary builder. You can do a combination of shuttle and flight from Port Douglas to Lord Howe Island in 7.5 hours. Finish up your sightseeing early on the 24th (Wed) so you can travel to Sydney. Get in touch with nature at Bondi Beach and The Opera House to the Botanic Gardens Walk. Get a sense of the local culture at The Rocks and Sydney Opera House. 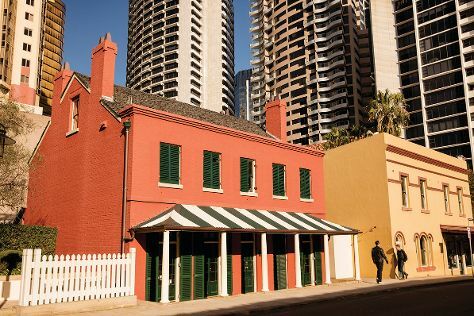 And it doesn't end there: take a stroll through Darling Harbour, take in the views from Sydney Harbour Bridge, examine the collection at Justice & Police Museum, and tour the pleasant surroundings at Manly Beach. For ratings and other tourist information, use the Sydney holiday builder site . You can fly from Lord Howe Island to Sydney in 3.5 hours. In April, daytime highs in Sydney are 26°C, while nighttime lows are 17°C. Finish up your sightseeing early on the 27th (Sat) so you can travel to Uluru-Kata Tjuta National Park. Get a sense of the local culture at Uluru and Kuniya Walk. Get in touch with nature at Kata Tjuta and Walpa Gorge. There's much more to do: admire the verdant scenery at Valley of the Winds, stroll through Uluru Hiking Path, take in the pleasant sights at Lungkata Walk, and take in the exciting artwork at Walkatjara Art. To see maps, more things to do, traveler tips, and other tourist information, refer to the Uluru-Kata Tjuta National Park day trip planning app . 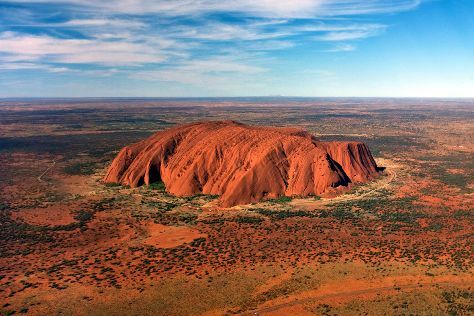 Traveling by flight from Sydney to Uluru-Kata Tjuta National Park takes 5.5 hours. Alternatively, you can drive. When traveling from Sydney in April, plan for somewhat warmer days and about the same nights in Uluru-Kata Tjuta National Park: temperatures range from 34°C by day to 17°C at night. Finish up your sightseeing early on the 30th (Tue) so you can travel back home.